Wheel Cactus – Tarrangower Cactus Control Group Inc.
A plant native to Mexico, this cactus is most commonly called Wheel Cactus in Australia, and believed to be introduced into our country as a ‘hardy’ garden plant. This cactus species has a distinct blue/green colour and large, flat, round pads with many short and long spines. The plant is erect and can grow to 3 metres tall. It has yellow flowers and dark red fruit in spring/summer, each containing approximately 500 seeds which are spread by animals and water. This weed has become widely established in central Victoria, western NSW and south-eastern and eastern SA. It particularly likes to grow on granite outcrops, but also infests woodlands and pastures. 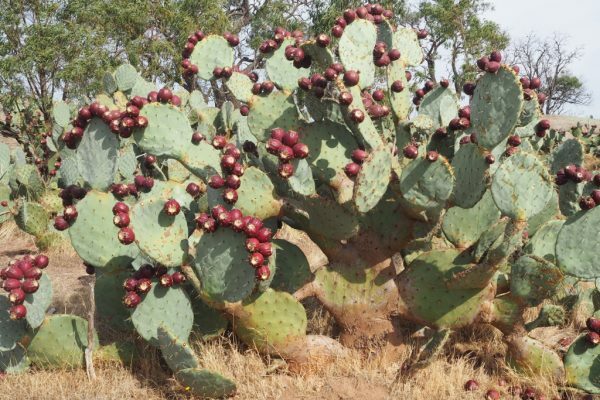 Wheel Cactus (Opuntia robusta) was added to the “Weed of National Significance” (WoNS) register in April 2012. WoNS is a joint initiative of the Australian, State and Territory Governments and it’s aim is to prevent the spread and impact of all weeds that pose a major National threat on the environment, agriculture and economy. 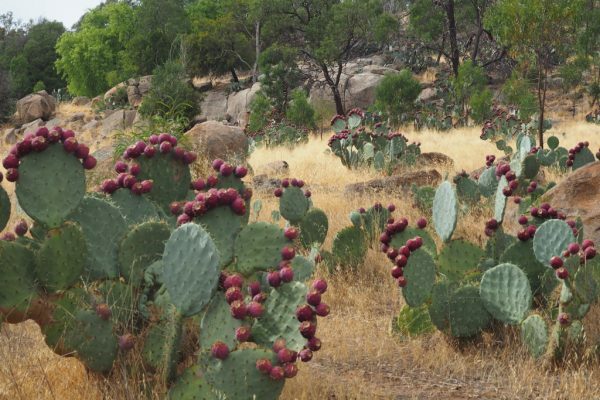 Wheel Cactus poses such a threat because it is a highly invasive and extremely difficult plant to kill. This plant is highly invasive because it reproduces both from seed and vegetatively from fragments of the plant, and is very difficult to kill because of it’s highly evolved drought resistance features. 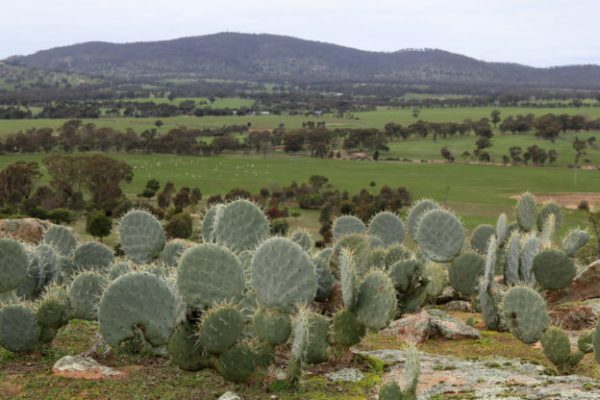 Wheel cactus is declared as a Regionally Controlled Weed in the North Central Catchment, under the Catchment and Land Protection Act 1994. 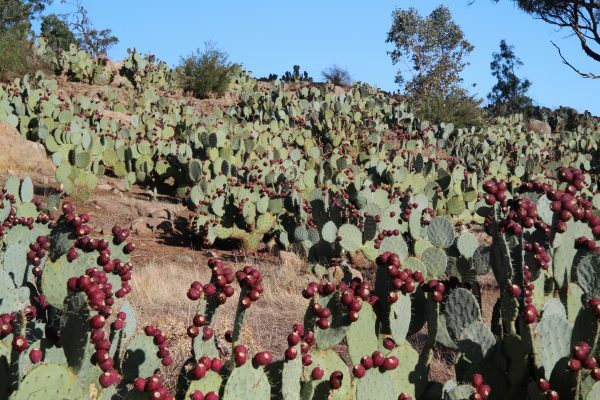 All land owners have a legal responsibility under the Act to prevent the growth and spread of all wheel cactus occurring on their property. To prevent its spread, ongoing control measures are required. Land owners have the responsibility to take all reasonable steps to prevent the growth and spread of Regionally Controlled weeds on their land. Information Brochure produced by the Tarrangower Cactus Control Group.